Private deck overlooks the South Fork of the Rio Grande. Take a short trail to scenic Million Reservior. Surrounded by national forest and hundreds of miles of trails for ATVs, mountain bikes, and backpacking. Gold Medal fishing in the area. Secluded atmosphere, yet just 2 miles from shopping. With new carpeting and wood floors, this cabin is clean, comfortable and well equipped, with lots of room to spread out in. Log beds, and new furniture, large outdoor deck, complement the mountain views! Leave the crowds and high prices of the Summit area behind and ski Wolf Creek (20 minutes), the most snow in Colorado and still the cheapest lift tickets. Cabin is located 2 miles up Beaver Creek Road off Highway 160 at South Fork and only 1/4 mile from paved road...the road is plowed to the front door! Dan & Agi has owned vacation rentals for over 20 years. We know what people need when coming to Colorado, and we are always glad to help visitors make the most out of their vacation. 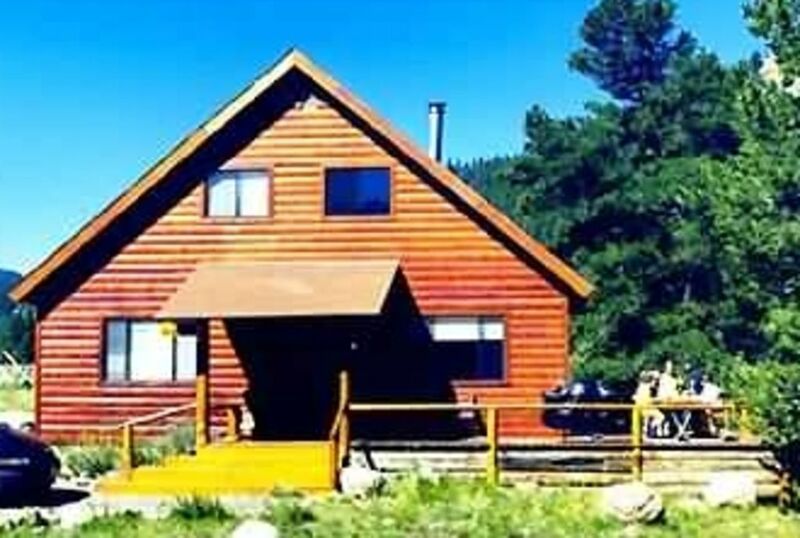 Dan Schmedeman (owner) has designed and built dozens of log homes through out the Colorado Rockies. There is no place in Colorado more scenic then South Fork, and our cabin is setting in the middle of one of the nicest location in the area. After a few days at the cabin, you will not want to go home. My favorite time is the early fall when i can get up early, get my cup of coffee and walk down to the river or Million Resevoir for some trout fishing.